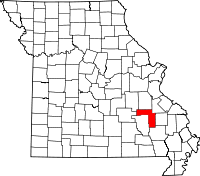 The Missouri State Archives, under the jurisdiction of the Secretary of State, has records for every county in the state on file, including Iron County. The Archives operates a Research Room in Jefferson City that has literally hundreds of millions of pages of historical and genealogical records that are all available to the public for research purposes. The Archives also accepts research requests from those who are unable to visit in person. There are no charges associated with this service, however certain restrictions which are laid out in clear detail on the website do apply. For local property, marriage, and divorce records, the Iron County Circuit Clerk and Recorder of Deeds are both in the Iron County Courthouse on 250 S Main Street in Ironton, MO. The Iron County Health Department is also in Ironton on 606 W Russell and provides birth and death certificates to qualified individuals.